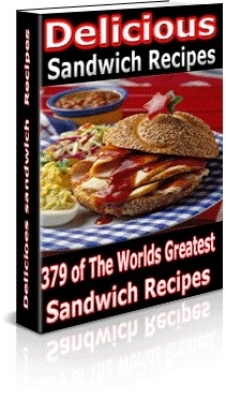 With 379 of The Worlds Greatest Sandwich Recipes in this book you are Guaranteed to find something you like or you've been wanting to try. Recipes range from Lasagna Sandwiches, Mexican BLT, Peanut Butter, Apple, and Bacon Sandwiches to Veggie-Wich, and many more. Anything and Everything you could think of is right here in Delicious Sandwich Recipes.